Claude Onesta is manager and coach for the French Handball team. He spoke once again this year at the Octave Program to share his experience and approach to life with participants. Watch the video! Do you want to be part of a changing world? Do you want to understand generations issues and the impacts of new technologies on organizations? Come and participate to #OCTAVE2016 ! Watch the third episode of our Web TV ! How did the Octave Program impact the participants’ lives ? What actions have been carried out once they returned to companies? As if you were there…Discover the second episode of our Web Tv ! 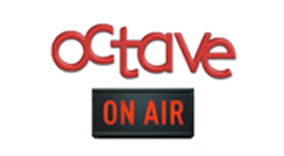 Discover the first episode of the Octave Web TV ! Improve communication among the generations and understand the impact of new technologies on individuals and organizations.